Mary George, whom Bregal has known for nearly two decades, will join the Ju-Ju-Be team as executive chairwoman. Mary is a seasoned executive with 25+ years of experience building brands and companies in the consumer space. Mary has served as CEO of Bell Sports and as CEO of Easton Hockey, in addition to serving as a board member and advisor to several well-known consumer brands, including Oakley Sunglasses, Oreck Vacuum Cleaners, and 3-Day Blinds. Investment bank D.A. Davidson & Co. served as financial advisor to Ju-Ju-Be and Buchalter PC provided legal counsel to Ju-Ju-Be. Winston & Strawn LLP provided legal counsel to Bregal Partners on Bregal’s investment in Ju-Ju-Be. Financial terms of the transaction were not disclosed. Ju-Ju-Be, based in Costa Mesa, CA, is a leading provider of premium diaper bags, backpacks, and accessories. 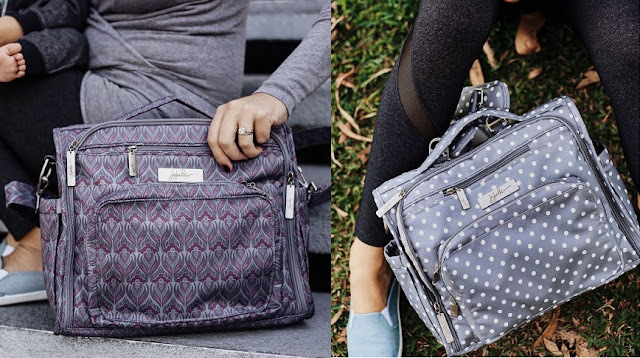 Ju-Ju-Be’s diaper bags come in a variety of styles, sizes, and on-trend print designs. The Company’s diaper bags are known for functionality as they are machine washable and have ample pockets/storage solutions. For more information on Ju-Ju-Be, please visit https://www.ju-ju-be.com. Bregal Partners is a leading middle market private equity firm with a focus on corporate social responsibility. The firm looks to acquire and grow market leading businesses in the consumer, food, multi-unit, and energy services industries. Bregal Partners is one of several dedicated firms under the Bregal Investments umbrella, which is a global private equity platform that has invested or committed over $12.5 billion since 2002. For more information on Bregal Partners, please visit www.bregalpartners.com.